Samdech Preah Karuna King-Father had led the country, when Cambodia was a monarchy but with Head of State as stipulated in the Constitution after King Suramarith passed away in 1960, through a time when Cambodia was like an island of peace, while countries around it were at wars. 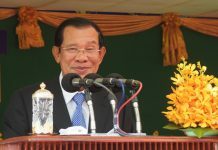 The late King-Father put Cambodia in a path of guaranteed peace. Even though there had incidents of bombardments along the Cambodia-Vietnam border, instabilities along the Cambodia-Thai border, and armed disturbances by the many Khmer factions – red, blue and white by colors, Cambodia was in general in progress. Running in Communal Elections or Waiting for 2022? They had done so much injustice in the past on Cambodia. Firstly, that they involved in launching a coup to remove Cambodia’s then legitimate head of state Samdech Preah Norodom Sihanouk, had they say they were sorry? […] did they express regret that they had supported the Lon Nol and his people to launch the coup? 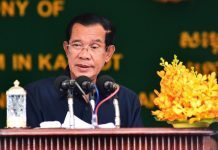 […] secondly, that they continued to support Pol Pot and to allow them to occupy the Cambodian seat at the United Nations in between 1979 and 1991, while imposing on Cambodia economic and political embargoes, had they regretted? […] we survived the embargoes in the past. 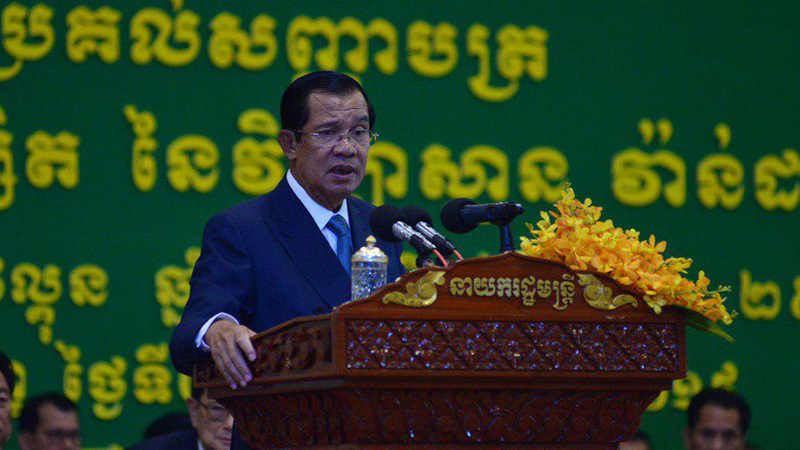 We stood on our feet for survival in tremendous poverty and uncountable hardships […] you – young generation of Cambodia – must remember that your grandparents, parents and relatives have journeyed with me to topple and to prevent Pol Pot from holding on and/or returning to power. That is your pride. That is the pride of your grandparents and parents. 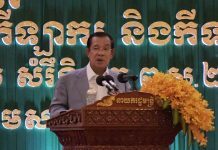 You voted to support the Cambodian People’s party. It means you voted for your grandparents and parents who stood up with the Cambodian People’s Party for survival until today. We leave our country no more to anyone’s insult […]./.